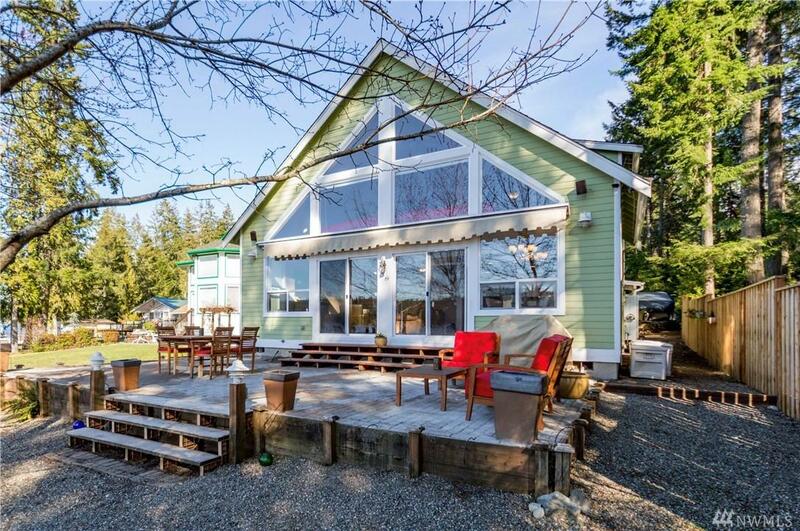 Rare opportunity to own no-bank waterfront centrally located on Mason Lake w/ a home of this caliber & gorgeous sunset views! 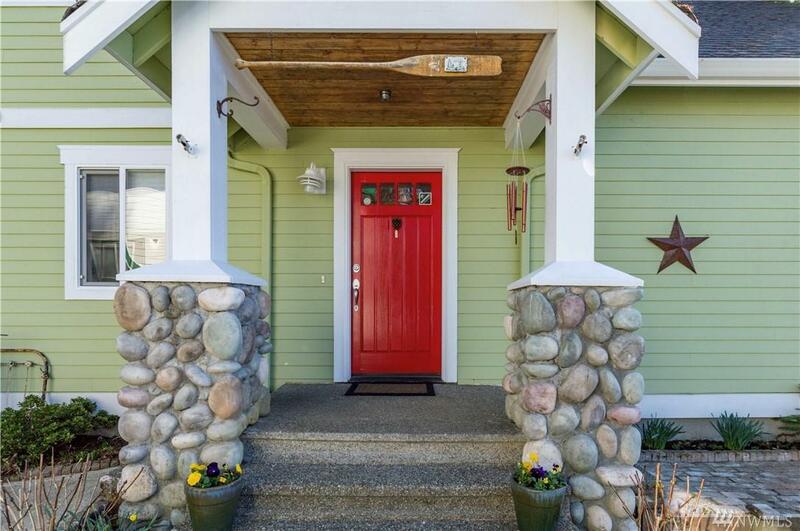 Enjoy summer days entertaining on your patio just steps away from the lake! This natural landscaped lot offers low maintenance so you can spend your time enjoying all that Mason Lake has to offer. 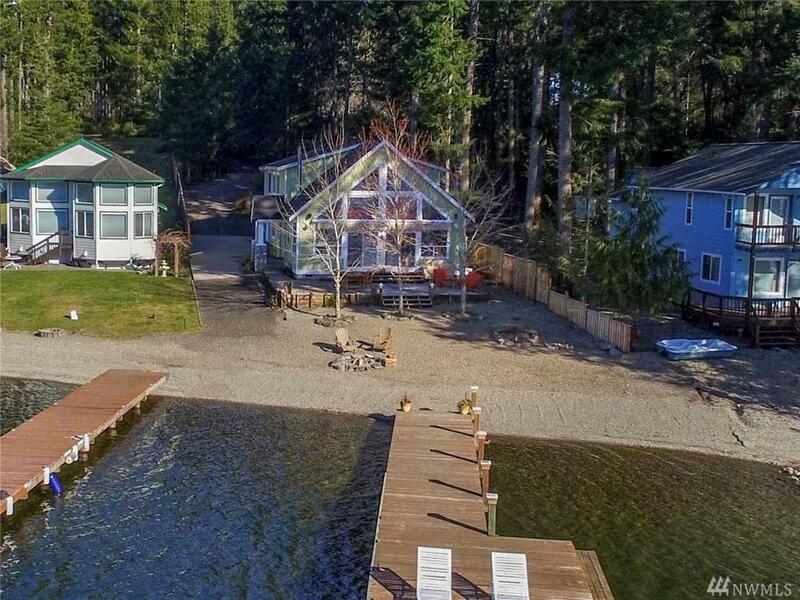 Large lot offers attached 3 car garage + RV Parking, boat launch & roundabout driveway. 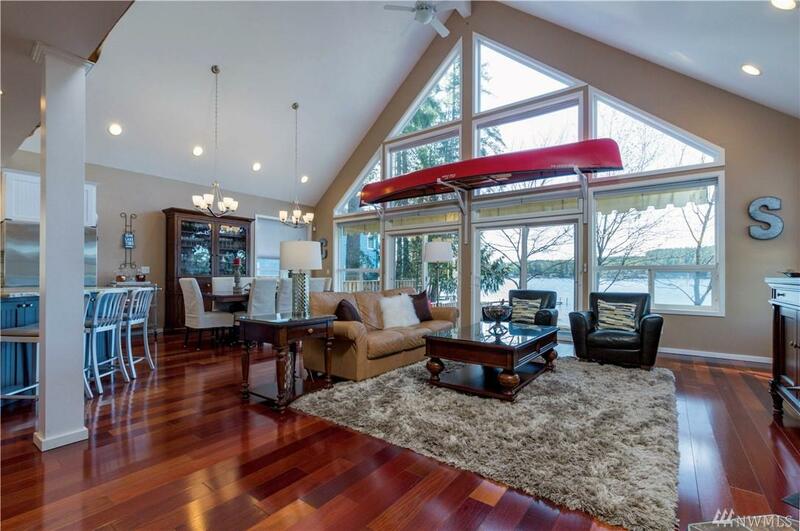 Open concept layout takes full advantage of the gorgeous views overlooking Mason Lake!